That Guy is Pierre Cardin! Yep, that guy is Pierre Cardin! Amazing work by Brian and Tremaine who not only guessed correctly, they knew the significance of all three clues – Bravo! 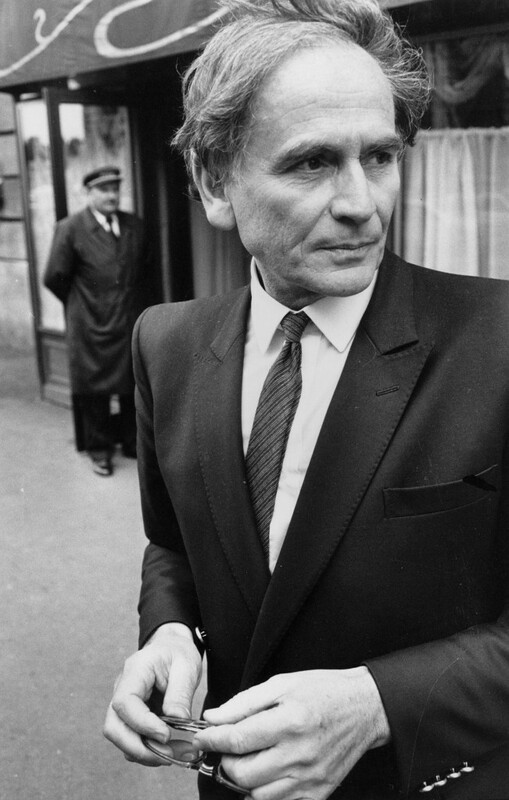 Pierre Cardin was one of the most influential designers of the 1960s, ushering in a new era of fashion. Before going out on his own, the Italian-born French fashion designer worked with several of the most important designers of the time. He first began working at the house of Jeanne Paquin, and then moved to Schiaparelli in 1945. The following year, he went to Christian Dior and worked on the New Look. Cardin opened his own studio in 1950, and quickly gained a following. Christian Dior would even send his overflow clients to Cardin’s new atelier. Though he began his career designing pieces that accentuated a woman’s figure, he is most well known for his more geometric silhouettes. Cardin was not only influential in the world of design, but also in the world of business. He was also one of the first designers to take licensing to a whole new level, forever changing the retail market. Follow the jump for the answers to the clues! Clue #1: Jean Cocteau – Cardin met filmmaker Jean Cocteau in 1945, and was commissioned to design the dresses for his film La belle at la bête (Beauty and the Beast), which premiered in 1946. Clue #2: Japan – He was one of the first Western designers to seek inspiration in the East – specifically Japan, where many new ideas were inspired. He was also one of the first people to view the East as a viable market for high fashion. He taught a one-month class on three-dimensional cuts at the Bunka Fukusoi fashion school, in 1957 during his visit. Clue #3: Space Age – This one’s a little more obvious. Cardin became famous for the Space Age Look, with its signature angular silhouettes, new age materials such as vinyl, and accessories that often included goggles and helmets. Thanks for playing – and a special thank you to Brian and Tremaine who have us thoroughly impressed with their fashion knowledge!